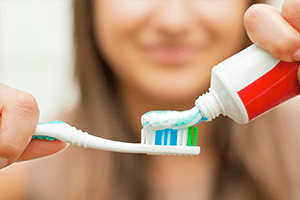 Despite the increasingly scrutiny of fluoride, it remains one of the most convenient and safe ways of protecting teeth from long-term tooth decay. The use of fluoride has extensive backing by the medical and dental researchers and is often noted as an excellent public health innovation; in short, fluoride at the right concentration in water supplies is shown to be good for your teeth and your health. Read on to learn more about how fluoride is used to combat tooth decay. The water supplies in the Australian ancient landscape have many trace elements leached out due to soil and rock types. Fluoride is one of those elements. Studies have identified what is the naturally occurring level of Fluoride found in countries around the world and Australian health authorities bring our levels up to those of other countries. Tooth decay is the process during which bacteria in the mouth erodes the surface layer of the teeth, known as enamel. The bacteria accumulates into dental plaque, which rests on the surface of teeth. This process is exacerbated by the food we consume. Enamel is the protective layer of the teeth that shields the more sensitive internal components thereby insulating the connective tissue between gums and teeth from extreme temperatures and even infections. Erosion of the enamel by bacterial acids can cause cavities, which make dental pulp (the living part of the tooth, connected to the bloodstream) susceptible to painful infections. Because of the intertwined nature of the ears, nose and throat, infections can quickly spread throughout the body if not properly checked. When the surface enamel of teeth is dissolved by the production of acids in the mouth, it is said to be demineralised. The crystalline components (carbonated apatite) that make up teeth enamel are dissolved, and hence lose some of their mineral content. Fluoride is used to remineralise the surface enamel of teeth by replacing the lost calcium ions with fluorapatite crystals, which are much more resistant to acid levels in the mouth. This process is assisted by saliva, which contains acid-neutralising compounds and carries fluoride around the mouth. The benefits of fluoride are enormous for the relative minimal amount of effort required. Fluoridated water helps enamel remain strong, reducing the likelihood of cavities by as much as 25% over the course of one’s lifetime. Fluoride helps to fight tooth decay, which is the source of many painful and debilitating illnesses. Illnesses that could be easily avoided. In addition to the vitally important remineralisation process, fluoride is a natural anti-microbial agent, helping to eradicate the bacteria that causes dental cavities. The introduction of fluoride into a water supply also means that young children are able to access fluoride and receive the associated benefits. The loss of teeth in infants is also minimised. If not for fluoride, eating impairments that could require extensive orthodontic treatment, may arise. The treatment of a water supply with fluoride provides a vital dental service to all of the public, across all socioeconomic groups. It ensures that cavities in teeth are prevented and that any existing cavities are treated much earlier. Dentists may also topically apply fluoride over the course of a regular check-up to assist with the remineralisation process. They may also recommend fluoride supplements if a patient presents with enamel erosion or lives in a region where water supplies are inadequately fluoridated. Dental fluorosis is a condition caused when an excess amount of fluoride is received early in the teeth’s development. It will present as whiteish flecks that appear across the surface of the teeth, and can be diagnosed by a dental professional. It is ultimately not dangerous to tooth function and can be easily treated. Furthermore, it will not present after teeth have fully developed. Dental fluorosis usually only occurs when children are exposed to adult toothpastes which contain excessive levels of fluoride. Fluoride has been the subject of several scare campaigns and ill-informed campaigns by individuals and groups who fail to understand how it works. Fluoride works to preserve the integrity of the enamel coating of teeth, preventing needless painful infections and a whole range of other health diseases. It is available in water supplies and ensures that the risk of sustaining early damage to teeth is significantly minimised, thereby averting an unnecessary public health crisis. At normal usage levels, fluoride is completely safe and presents no adverse effects or risks of producing developmental disorders. However, the levels of fluoride need to be monitored, particularly in order to protect young children, and avoid dental fluorosis which is a non-threatening condition that dissipates over time. To learn more about fluoride and fluoride supplements and how they protect your teeth, contact dhealth Dentistry today.